R.E.Kennedy and C.N.Cooper called a tau number if is divisible by the number of its divisors, and they proved that the natural density of tau numbers is zero. Later, S.Colton, by means of his automatic concept formation program HR, re-discovered them and called these numbers refactorable. S.Colton proved that there are infinite tau numbers, since for every prime the number is refactorable and that all the odd tau numbers are squares and that tau numbers are congruent to 0, 1, 2 or 4 . Moreover, Colton proved that, if is the product of distinct primes, then there are tau numbers with divisors. For example, the tau numbers with divisors are 720, 1200, 1620, 4050, 7500 and 11250. It is easy to see that, if and and are tau numbers, then is also a tau number. 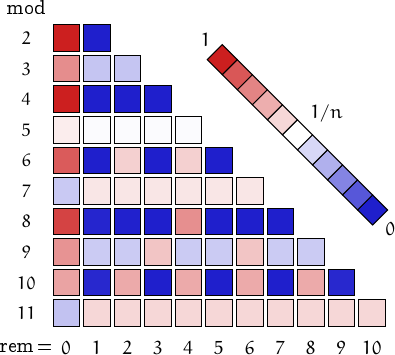 J.Zelinsky proved in 2002 that there are no 3 consecutive tau numbers. However, it is conjectured that there are infinite pairs of consecutive tau numbers, which, as Colton proved, always contain a square. The first ones are (1, 2), (8, 9), (1520, 1521) and (50624, 50625). 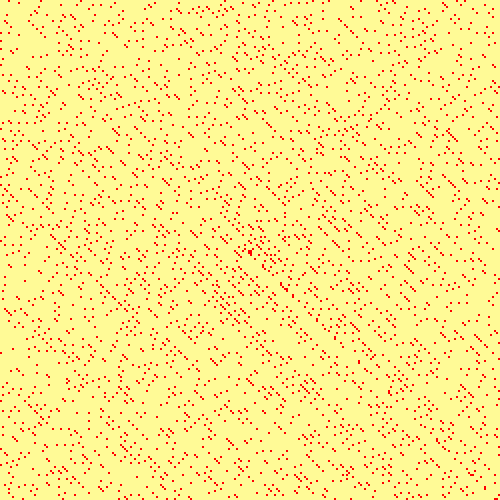 Below, the spiral pattern of tau numbers up to . See the page on prime numbers for an explanation and links to similar pictures. The smallest Pythagorean triple of tau numbers is (40, 96, 104). Is there a primitive such triple? 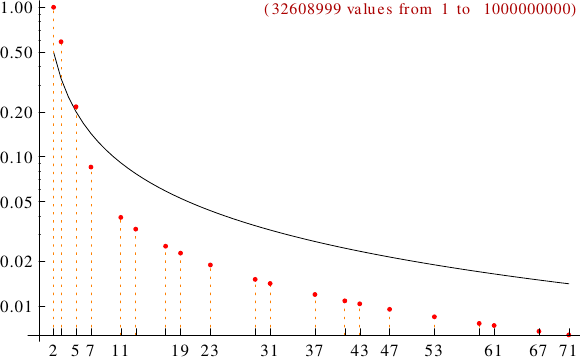 A graph displaying how many tau numbers are multiples of the primes p from 2 to 71. In black the ideal line 1/p.